Niagara Hardwood Flooring is a business built on a solid foundation of experience, service and exceptional hardwood flooring products. Niagara Hardwood Flooring wants your hardwood flooring installation to be the best possible experience. 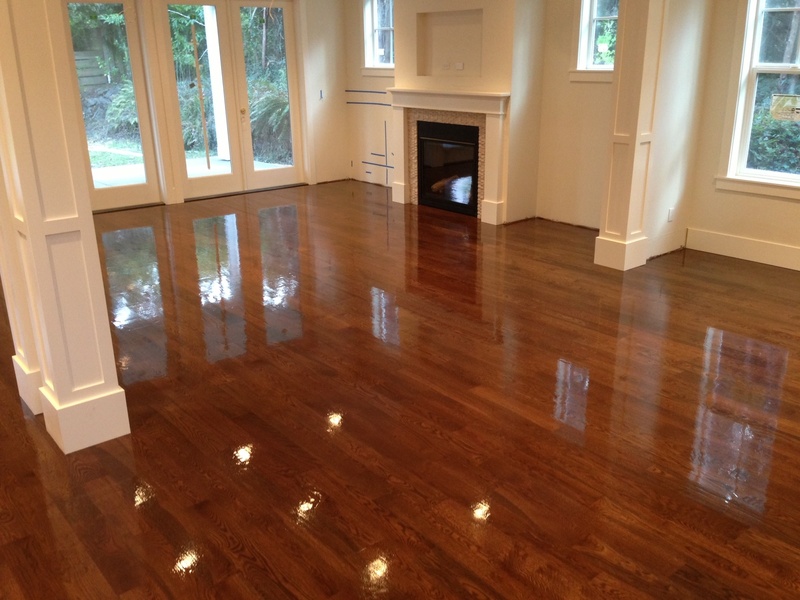 Our team of professional installers have completed hundreds of hardwood flooring refinishing projects in both residential and commercial properties. When refinishing and sanding is part of the equation, there is the potential for a great deal of dust to be created in the resurfacing process. This could be very disruptive for families or businesses who still have to live and work in the affected area. Thankfully, Niagara Hardwood Flooring has a solution. Their DUSTLESS sanding and refinishing process means you get the benefits of top quality professional flooring refinishing without all the airborne dust particles that usually blanket everything in the vicinity during heavy sanding. This dustless system allows Niagara Hardwood Flooring installers to complete their sanding and refinishing without the expected mess involved in stripping hardwood flooring. Book your refinishing project and the team at Niagara Hardwood Flooring will determine a convenient time to complete the sanding and resurfacing that suits your schedule. Regardless of the type of existing hardwood flooring you need refinished, their dustless system for sanding and refinishing will ensure the job gets completed with minimal mess. Dustless floor refinishing can be completed in about a day (depending on the square-footage of flooring space being sanded). The process involves a unique machine that scuffs the floor lightly and then completes the resurfacing using a chemical etching. This is much less expensive than doing a full-blown floor refinishing because there is less sanding involved. It is also a better alternative for people suffering from allergies or breathing issues because there are less dust particles sent into the air. Speak to Joe and Dave at Niagara Hardwood Flooring to determine the best plan for your hardwood flooring refinishing project. They can provide you with all the information you need to make the best informed decision on refinishing your hardwood flooring. Speak to Joe and Dave at Niagara Hardwood Flooring to determine the best plan for your hardwood flooring refinishing project. Niagara Hardwood Flooring is a business built on a solid foundation of experience, service and exceptional hardwood flooring products. Like the trees that supply the hard woods they use, partners Joe Carter and Dave Mathewson have established strong roots in Niagara. Niagara Hardwood Flooring is a company that adheres to the green principles of “reuse, reduce and recycle.” It’s why they dedicate a great deal of the energy to the restoration and refinishing of hardwood flooring in residential and commercial properties.